As soon as I read the introduction of Felicia's book I knew I was going to really enjoy it. I don't spin, I don't dye yarn but I find colour endlessly fascinating. Her personal colour story, while different from mine, drew me in immediately. The first section does give us the standard colour wheel terminology but then Felicia spends time explaining how colour affects our moods, our thoughts and the thoughts of others. Understanding Colour - all about the fundamentals of colour theory, understanding hue, value, and saturation, and how to combine colours and create palettes. Creating Colour - the process of dyeing with acid dyes on yarn and fibre, going into a wide range of different techniques for applying colour to create one-of-a-kind yarns. Spinning Colour - we look at how the different characteristics of hand-dyed fibre affect the appearance of handspun yarn and how we can take advantage of those nuances. Spinners can learn to subdue bright or vibrant colourways, or maximize the effect of more subtle hand-dyed colours. Knitting Colour - we explore how hand-dyed yarns will knit up in different conditions, from the thickness of the yarn to the length of the colour repeats. 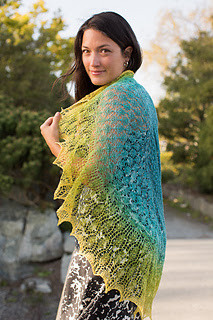 Knitters can also learn to avoid or enhance the effects of pooling colours in variegated yarns." The book will teach you the basics of how colour works, how to combine colours, and how to control the results when dyeing for all fibre artists. 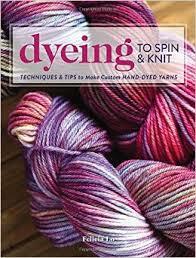 Spinners will learn how to control intense colourways and to prevent colour muddiness in hand spun yarns. 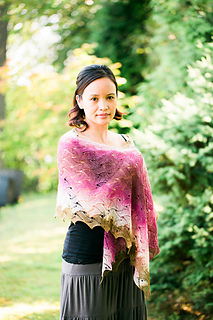 Knitters will learn how to both avoid and maximize the positive effects of colour pooling. However, the strength of this book lies in it's ability to move beyond the technical and into how colour works emotionally. 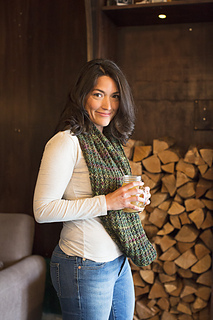 The back of the book includes 10 patterns all knit with her SweetGeorgia Yarns. You can see all the patterns here on Ravelry.